In 1st Saintfield we believe that the word of God is central to all that we are and all that we do. As you can see from recent teaching series, we cover a wide variety of relevant themes and subjects in our Sunday morning and Sunday evening teaching from God’s truth. We do pray that the Lord will bless you as you listen to His precious and living Word. Sermons can be listened to on-line through the website, or downloaded for off-line listening on a portable media player. If you have an Apple device such as an iPad or iPhone, or use Apple iTunes you can subscribe to our sermon podcasts by clicking here or on the the button at the bottom of the page. This will automatically inform you when new sermons have been published and allow you to listen on your device off-line such as when you are in the car. The link below will take you to a thought provoking daily devotional message on the United Christian Broadcaster’s Word For Today website. © 2015: This devotional is produced by UCB, free of charge through the generosity of our supporters. As a gift to the body of Christ, permission is given to Churches and Christian organisations to copy up to a maximum of 52 daily excerpts per year. With almost every kind of machine goes a book of instructions. The Bible is the Book that goes with man. Think of it-some of us spend sixteen waking hours every day travelling the highways of life, and yet spend no time reading the the Guide Book! We should read and study the Bible each day because it is God’s Word to us. The Bible is literally “God-breathed” (2 Timothy 3:16). 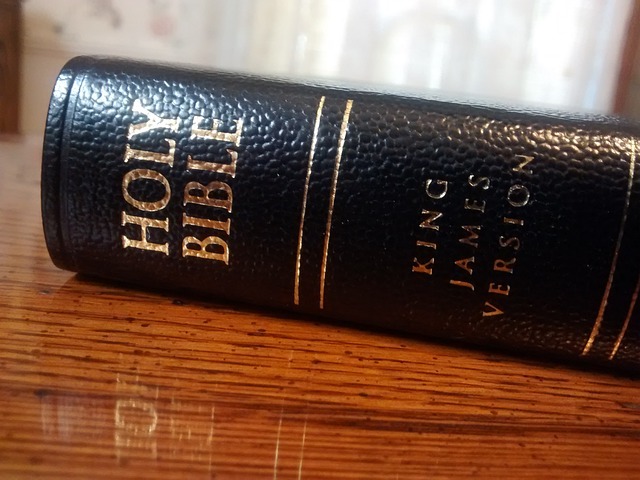 Clicking here will open useful Bible reading plan which if followed allows the whole Bible to be read in the course of a year.